Welcome to our refurbished laptop guide to the best used laptops based on reliability, hardware performance, ease of use, design and consumer feedback. The used laptop and refurbished laptop market is growing at an exponential rate thanks to continued advances in PC hardware and technology – this is great for us as it means you can pick up serious deals on dirt cheap refurbished laptops and used laptops that can fulfill your basic computing needs such as word processing or browsing the web while also helping ease the environmental pressure of electronic waste. Also keep in mind that some of these laptops will only perform at their best if you are running an older operating system such as Windows XP or OS X v10.5 Leopard. Thanks to Windows, backwards compatibility won’t be much of a problem and everything you need should work well unless you must use modern or hardware intensive apps, in which case you should save up a few more dollars and visit one of our other guides. In many cases we would strongly recommend saving up a few bucks for a newer machine if you can afford it. If you are still considering a brand new laptop, our guides to the best cheap laptops, the best laptops overall and the best gaming laptops may provide some more options to consider. Those with a keen eye for detail will one to checkout our starter laptop buying guide to get clued up on all the technical jargon before viewing our buying guides in order to prevent you from getting the wrong laptop. 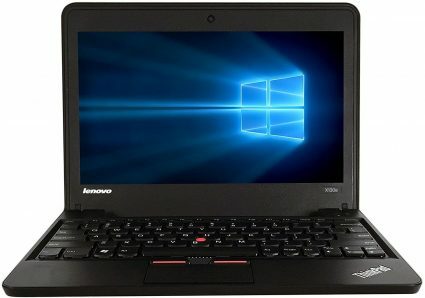 Weighing in at 3.5 pounds, the Lenovo ThinkPad X131E is fairly lightweight and when coupled this with its rugged exterior, you get a laptop suitable for schools and students. In fact, it’ss been specifically designed for classroom use. Lenovo have included an LED light on the cover for teachers to see the connectivity status of the laptop, allowing them to see if the laptop has been wirelessly connected to the web or other devices, which is useful for tests. Furthermore, it has reinforced hinges and stainless steel hinge brackets that will withstand the rougher school environments. While its specs are modest, it gets the basics right. The 4GB of RAM and the older, low tier AMD E2-1800 allows for word processing, a decent browsing experience as well as video streaming thanks to the integrated AMD GPU. The LCD display has a resolution of 1366 X 768 and it comes with chiclet keyboard, trackpad and a pointing stick. You’ll be able to store quite a bit of media and files on the large 320GB hard drive, but don’t expect a solid state drive performance from the older, mechanical hard drive. It has plenty of ports to aid productivity, with one USB 2 port, two USB 3.0 ports and Lenovo have also included a card reader and an HDMI port. The video camera is 720p and it runs Windows 7 out of the box. It has an average battery life of around 8.5 hours according to reports, which means you’ll have enough juice to last you the day. The compact, sturdy and strong construction of the Lenovo ThinkPad X131E makes it an excellent choice for school use, but it is only suited to deliver the essentials due to its underperforming hardware. Not everyone needs a brand new top of the line laptop which can cost several hundred dollars. Instead it makes more sense to look at more affordable options such as the refurbished Dell Inspiron i3162-0003BLU. Priced at under $200, this laptop will not break the bank and will allow you to use popular applications such as Microsoft Word and Skype. You will also be able to browse the web for interesting articles or catch up on the latest news from around the world. However the entry-level Intel Celeron N3060 processor and the 4GB of RAM are a big limiting factor for this budget friendly laptop. While you won’t be editing videos or using high-end design applications, it will still be useful for some very basic photo editing if you intend on running a blog or you just want to edit those holiday snaps. Both the memory and the processor will also struggle with the popular Google Chrome web browser and we recommend using a web browser that is less taxing on your system. The Dell Inspiron i3162-0003BLU also doesn’t offer much when it comes to storage space and the tiny 32GB is far too small for modern standards. Furthermore, with Windows 10 installed you are only left with about 20GB of usable storage space. We recommend using the laptops MicroSD slot to extent the laptop’s storage with a good Class 10 MicroSD card. The Dell Inspiron i3162-0003BLU is an affordable laptop which offers good battery life and a funky blue color. However, the hardware is not suited for power users and is best suited for basic tasks at home or at school. The Acer Aspire One AO1-431-C8G8 is a Certified Refurbished by Amazon product and comes with a 90 day warranty. The Acer Aspire One AO1-431-C8G8 is a great Windows 10 alternative to budget Chromebooks and entry level tablets. Sporting an Intel Celeron N3050 and 2GB of DDR3L RAM, the Aspire One AO1-431-C8G8 features similar specs to many of the budget Windows 10 tablets. While the hardware is sufficient for basic tasks such as web browsing, Skype and word processing, it will struggle with more hardware intensive tasks. The 32GB of eMMC flash memory offers fast Windows boot and app loading times, but only offers a limited amount of storage space. Users can expand on the storage space via an external storage space, or via an online storage Cloud service. The tablet based hardware offers a fanless system that offers great temperature control and zero noise levels. Its 14-inch anti-glare display is bright and sharp, and offers a maximum resolution of 1366×768 which is a standard on cheaper laptops. The Acer Aspire One AO1-431-C8G8 comes with a large number of useful cloud-enabled apps like abPhoto, ab Music, abFiles, and abDocs. While it is not the most powerful laptop on the market, the Acer Aspire One AO1-431-C8G8 offers users an 8 hour battery life for making it great for anyone on the go. The Acer Aspire One AO1-431-C8G8 offers good performance for users who need a basic machine on a tight budget. 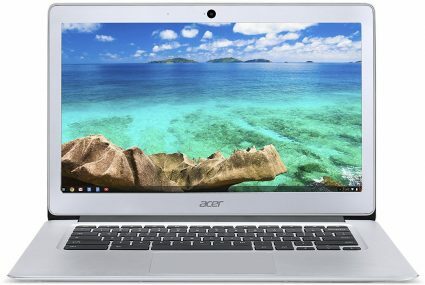 The sturdily built, all-aluminum chassis of the Acer Chromebook 14 CB3-431 makes it look and feel premium, which is a major plus considering other laptops at this price range are made of mostly plastic (which isn’t to say they aren’t durable). It is lightweight and durable, with customers praising its compact frame and its sturdy feeling build quality. 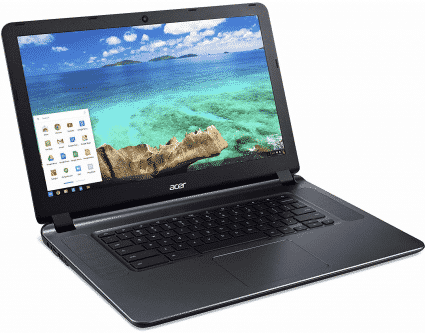 Acer have opted for a 1920 x 1080 resolution display, which one doesn’t often see at this price point, with most other budget chromebooks using 1366×768 resolution display. On top of the fact that the Chromebook 14 CB3-431 has a Full-HD display, i’s an IPS display, so you get great viewing angles, but some reviewers thought that it could be slightly brighter. The Intel Celeron N3160 Quad-core 1.60 GHz CPU and 4GB of low power RAM will handle basic tasks quite easily, but for anything else it is almost certainly underpowered. Office apps are said to run pretty well with no real lag, and Netflix and light Internet browsing was smooth. Chromebooks are designed for online use, so the 32 GB of storage space shouldn’t be an issue considering you’ll be using cloud storage, but for offline use it is low and it will fill up in no time. An external hard drive would be beneficial in this regard, especially since it doesn’t come with an SD card slot. The keyboard is said to be slightly uncomfortable and they key travel shallow, but the touchpad, however, is smooth, accurate, and correctly registers multi-touch gestures. 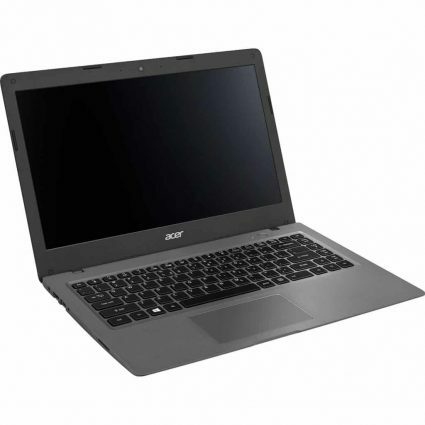 Acer have included 2 USB Ports and an HDMI port for connecting to a larger display, and thanks to the efficiency of the Intel Celeron processors, it lasts all day, with a battery life of around 10 hours, which makes this an ideal companion for the modern day college student. The Lenovo ThinkPad T430 14.1-inch refurbished laptop has an excellent battery life of over 13 hours, so it’s suitable for long days of work. Couple this with its decent Intel Dual Core i5 2.6Ghz processor and 8GB of RAM (upgradable to 16GB), and you have a great computer for productivity, making it suitable for both business use and for students. The 320GB of storage space is sufficient for most. The hard drive is mechanical 7200 RPM hard drive and not an SSD, however, so one can expect slower loading times and boot times. It’s design is durable, but in no way eye catching, so some may not be too impressed with the look. The anti-glare LED-backlit display is also only 720p, but it is still said to be crisp. Some online reviewers suggested that the display is somewhat dim, however. The keyboard is said to be great overall, and they have used the island-style keyboard that is fitted with a trackpoint. The touchpad has been noted as being quite small, but this did not bother many. 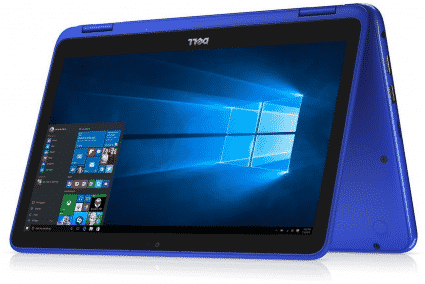 It comes with Windows 10 Pro 64-Bit as its operating system and has two USB 3.0 ports, a displayport, VGA and a microphone/headphone jack, while the right side houses the USB 2.0 port. The keyboard is not backlit, which may disappoint some. 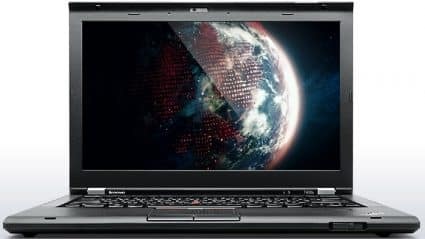 If you are looking for a solid refurbished laptop that produces good results, the Lenovo ThinkPad T430 is a great choice. The refurbished HP 15-F222WM is great for use at home or at offices. While its Intel Pentium N3540 processor and 4GB of RAM will easily cope with tasks such as Skype, Internet browsing and sending emails, intensive tasks will see the laptop taking a hit as it is slightly underpowered. You might want to consider either an Intel i3 or an Intel i5 based laptop if you intend on working with more intensive apps. Like its predecessor, you get the same 500GB mechanical hard drive which offers a decent amount storage space. However, the entry-level 5400 RPM hard drive will mean slower Windows boot speeds and your apps will take a bit longer to load. You will be able to upgrade the hard drive to an SSD, however these are still expensive for the amount of storage space that they offer. One of the key features of the HP 15-F222WM is the touchscreen display. 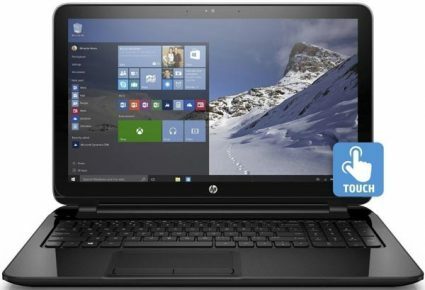 Despite the laptop’s low price, the touchscreen is fairly responsive and this will allow you to easily navigate around Windows or your favorite web browser. However, the HP 15-F222WM still features the same budget display panel which offers a maximum resolution of 1366 x 768 and average viewing angles. While the display does not offer Full-HD resolution, it will still allow you to stream your favorite series or movies in 720p quality. A minor drawback is that the HP 15-F222WM does not feature Bluetooth connectivity. While it’s not the end of the world, it would have been nice for HP to include it in there updated laptop. 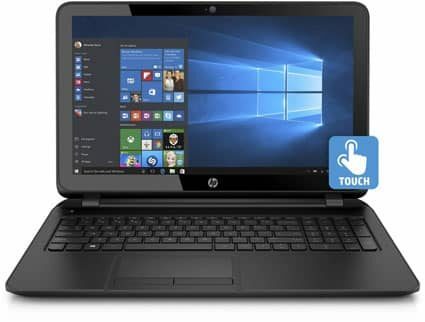 The HP 15-F222WM is a refurbished laptop suitable for home or office use. However, if you are looking for a more powerful machine that does more than basic tasks, then this laptop is not right for you. 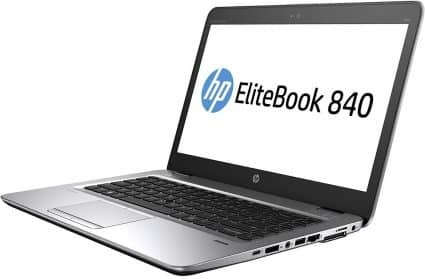 The 2014 HP EliteBook 840 G1 14-inch laptop was a popular business laptop which was built tough, featuring an aluminium and magnesium case which passed the MIL-STD 810G military test, all while maintaining a reasonably thin construction. It has a solid selection of ports for business people seeking productivity, offering four USB 3.0 ports for a lot of peripherals, as well as a VGA and DisplayPort for two external displays. While we would have liked to see a USB Type-C connection that we often see in the newer laptops, these are more recent features of laptops, however, and many of the refurbs in this guide are without them. The chiclet style keyboard is said to be comfortable and it offers solid feedback, and its touchpad features two mouse buttons that are firm and pleasant to use, while the pointstick enables ergonomic control of the cursor. The TN display has a resolution of 1600 x 900, and it does offer a very sharp picture overall, but a Full-HD 1920 x 1080 display would have been a nice addition at this price. According to notebookcheck.com, it doesn’t cover a large color range, covering only 58% of the sRGB standard and 40% AdobeRGB. The display lacks the quality of higher-end display sadly. Fortunately it is bright enough for outdoor use, so if you have an overly bright office, the Elitebook 840 G1 will be great. Inside you will find a 4th Generation i5 CPU i5-4200U processor and 8GB of DDR3 RAM that keep things ticking along nicely, and the 500GB hard drive offers plenty of storage space. HP has omitted an optical drive. While there may not be much use for CDs in the Internet age, some do still use CDs especially in a business environment, so this may be regarded as a slight drawback. The Intel HD Graphics 3000 will allow you to do some basic video and photo editing on Adobe’s Premiere Pro or Photoshop, but don’t expect to do much gaming. The HP EliteBook 840 G1’s subpar display, lack of optic drive and slow hard drive are the only real drawbacks. It delivers a good performance and is incredibly well built, and is a great choice for business people. The Samsung Chromebook 3 XE500C13-K04US is a top seller in our Best Chromebook guide, and it is not hard to see why. The refurbished Samsung Chromebook 3 XE500C13-K04US, priced at under $200, delivers a decent performance that is well suited for basic task handling. The Intel Celeron N3050 processor and 4GB of RAM will allow you to browse the web or create documents with Google Docs easily, while the 16GB of eMMC flash memory offers fast data transfer speeds. Some may find that the storage space is far too little for their specific needs, however, but keep in mind that Chromebooks make use of cloud storage, affording you and extra 15GB of space, and paid packages offer more. The battery life is great for all day use, clocking in around 11 hours, making it well suited for college use. The keyboard is easy to use and it is spill-resistant, meaning accidental spills will not lead to damage. The design is stylish and lightweight and the 1366 x 768 resolution Anti-Glare display delivers good picture quality. 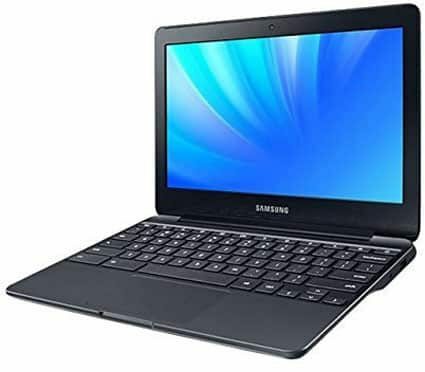 If you are a college student on a budget, the Samsung Chromebook 3 XE500C13-K04US would make a suitable study companion. One issue that a few customers ran into was that the previous owner information was still on the system, and some couldn’t log on due to this. Samsung might not be most people’s go to brand when it comes to laptops, however they do offer some great laptops for the budget conscious user. The Samsung Chromebook 3 XE500C13-K01US has been refurbished to offer it a new lease of life. The all-black chassis and matte black covers gives the Samsung Chromebook 3 XE500C13-K01US a sleek look which can easily be mistaken for a high-end ultrabook. While it looks like a high-end ultrabook, the performance is anything but high-end, however the hardware is more than suitable for basic tasks. The Intel Celeron N3050 processor and 2GB of RAM will allow you to browse the web or create documents with Google Docs. The 16GB of eMMC flash memory offers fast data transfer speeds, however the downside is that the 16GB of storage will fill up extremely quickly. 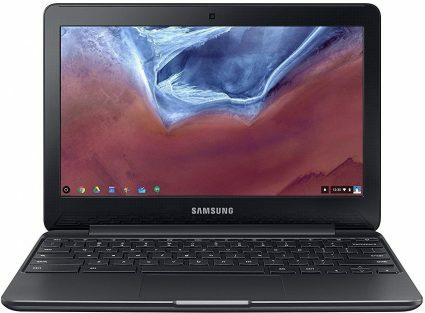 While Chromebooks are designed to operate in conjunction with Google’s online services, this will require your Samsung Chromebook 3 XE500C13-K01US to be connected to the Internet. The 11.6-inch display remains the same and offers good viewing angles, good colors and the same maximum resolution of 1366×768 as its predecessor. The pros of Chrome OS is that it requires less powerful hardware to run apps compared to Windows 10 laptops in the same price bracket. The Samsung Chromebook 3 XE500C13-K01US is a Certified Refurbished product on Amazon, giving you peace of mind that your laptop has been professionally refurbished. The Samsung Chromebook 3 XE500C13-K01US has been refurbished for a new lease of life and is perfect for users at home or for students. However, there are still far fewer applications available for Chrome OS at the moment. The Dell Latitude D620 is another great product from the Latitude range that has stood the test of time. They were initially built as an upmarket offering with business users in mind, but the number of these laptops still on the market today is testament to the sheer build quality and reliability of these vintage beasts. If you’re unlucky you may have to get a battery replacement due to a faulty refurbished model, but most users were extremely satisfied with it’s performance running Windows XP for standard usage such as MS Office, web browsing and even basic, old school gaming thanks to integrated Intel graphics. 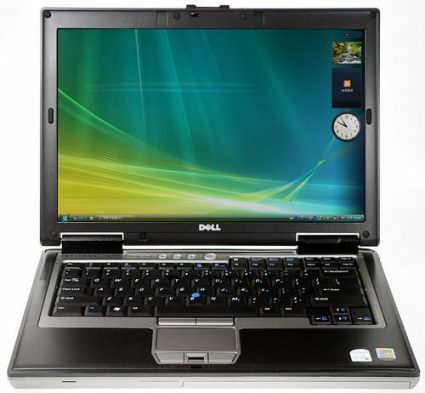 The Dell Latitude D620 offers great build quality and works well as an everyday carrier for users on a budget. But the lack of a webcam means no Skype video calls without using a USB webcam. The Dell Latitude E6430 14-inch laptop is a crowd favorite from 2015 now available on the refurbished market and features an Intel i5-3320 2.6GHz processor and 8GB of RAM. The laptop has a reliable design that has been complimented by users for its durability, with the chassis being made from aluminium and magnesium. The 14-inch matte display is average at best, with reviewers noting it is dim and struggles in overly bright areas. Its keyboard received praise for good performance and it also comes with a track point, a feature one commonly sees on business laptops from its era. It has a decent battery life of around 8 hours 30 minutes, which is respectable, although this may be shorter due to wear and tear on refurbished units. The HD Graphics 4000 will not allow for strong gaming performances, but it will allow you to watch HD videos comfortably and to do some basic video and photo editing. The HDD is not the biggest, affording you only 320GB of storage space, but it should be enough for most users even by today’s standards. 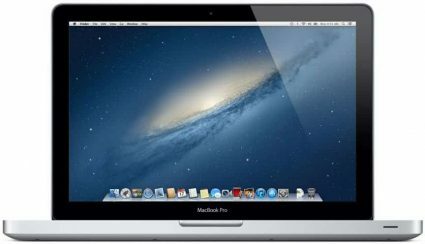 2012 saw the release of the MacBook Pro MD101LL/A 13.3-inch. This was an entry level model of the Pro series, but an incredibly popular one, nonetheless. It has remained popular throughout the years, which is not surprising at all – Apple are an established brand recognized for their reliability. The MacBook Pro MD101LL/A features a solid aluminium chassis that is both stable and durable, and the compact build makes it great for carrying around with you on business trips or from one class to the next if you are student. It doesn’t come with the modern USB Type-C sadly, but it comes with two USB 3.0 ports and the older Thunderbolt , which are suitable for the modern day productivity user, allowing fast data transfer speeds. You get a large 500GB HDD which will allow you to store a lot of files and programs, but it is slow, and this will lead to a slower system overall when compared to modern systems that boast lightning fast SSDs that boot up your system and programs in a matter of seconds. Apple have used a TN display, which does lead to washed out colors overall, and the resolution is low at 1280 x 800. The backlit keyboard features an ambient light sensor which automatically controls the brightness of the backlighting, and the keyboard is said to be comfortable and a pleasure to use. The trackpad is spacious and it has an array of multitouch gestures. The system performance is great for the most part thanks to the older Intel Core i5-3210M 2.5GHz and the 4GB of RAM, but an extra 4GB of RAM will drive an even better multitasking experience. Some customers complained of unreliable resellers, with some noting that their Macbook Pros arrived looking battered and beaten, finding that they hadn’t been refurbished as suggested, which is somewhat misleading. However, if you are searching for a refurbished laptop that has stood the test of time, the MacBook Pro MD101LL/A is a great choice, and at this rate, it will probably still be relevant for the next five years. The numerous complaints from customers who received dodgy, used Macbooks as opposed to refurbished ones is slightly worrying, but it is great to see that the 2012 Apple MacBook Pro MD101LL/A is still as popular as it once was.